I am a Registered Nurse from Philippines and an AB-Major in English degree holder with a Masters in Maternal and Child Care Nursing. 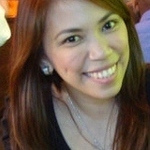 Married with one daughter and i love baking...Read moreI am a Registered Nurse from Philippines and an AB-Major in English degree holder with a Masters in Maternal and Child Care Nursing. Married with one daughter and i love baking and cooking. My interests includes surfing the net specifically the social media sites, I love fashion and travelling too. I was a Clinical Instructor in one of the university here in our city and was a Staff Nurse in a tertiary hospital. I passed the CGFNS examination last July 2008 as well as the IELTS English test. Work Experience Summary: I worked as a Clinical Instructor for 4 years and a Staff Nurse/Emergency Room Nurse for 1 year. I am also into cake and pastry business as my part time job. Education Summary: I am a graduate of Bachelor of Science in Nursing with a Masters Degree in Maternal and Child Nursing and also an AB-Major in English Graduate.